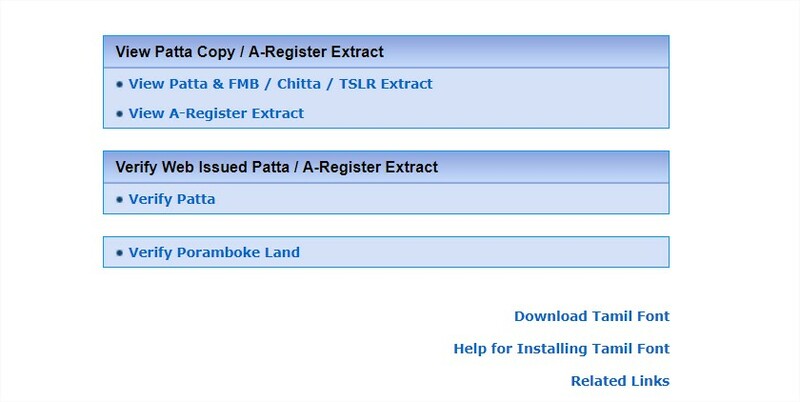 Patta is the property document that is also known as an Ownership Deed. It is a document which is usually counted as the proof document for the piece of land that you own. The Online Patta thing is handled by the state government of Tamil Nadu – Also check Tamil Nilam complete guide. The Revenue Department of the state of Tamil Nadu takes care of each and every detail of the lands and plots associated. The Tamil Nadu state government has been working consistently in order to make these services available to the general public. In this article, we will learn more about the procedure of changing of ownership, correction of details and other relevant stuff. Apart from that, we will discuss more on the official website in general. As given in the subheading itself, we will learn about how to get your ownership changed to your name. The ownership needs to change at the time when the plot or asset is sold to a different person. At this moment, the procedure of changing your ownership online is not available. However, it is possible to do it offline as well. At that moment, the process that involves the change of ownership is conveniently easy. You just need to follow a few steps in order to get your asset transferred to your name. As mentioned in the points above, firstly, visit the nearest Taluk office or the Village Administration Officer’s Office. If you are having trouble finding either of these, ask for the locals or approach your District Headquarters. You can easily find your respective Taluk office or the Village Administration Officer’s Office. Once you visit either of these, approach the inquiry desk and ask for the form for the Online Patta Name Change or Online Patta Transfer. These are just a glimpse of what you are supposed to fill it out to get your work done. Take the form and fill it out carefully. You need to mention the particulars and specific details about the land that you currently own. Once you are finished with filling out the form, you will notice that after your personal information, there are a bunch of signatures, undertakings and declaration that you have to complete in order to finish up your process. Name of the previous owner. Signature of both the parties. Stamp paper as per the government norms etc. Make sure that all sections of the form are completed successfully without any overwriting or corrections. Provide your details exactly like how it is in your Aadhaar card. It is currently being used by all government organisations in order to go for an easy authentication measure. 4. Proof of Birth etc. Submit the whole thing at the concerned office and take the final Acknowledgement receipt. It is a very important document since you can use to check the status of your inquiry. The fee for the same depending on your clause would be between Rs. 80 – Rs. 240 only. Once you have successfully submitted your application, now you just have to sit back and relax for a bit before the state government officials even try to access your situation and work it out smoothly, if they wish to. There is a usual wait time for the process to end with. 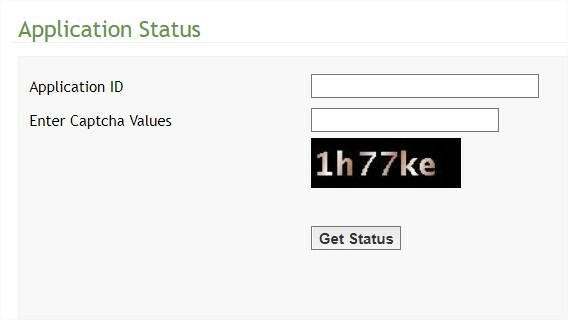 Enter the given values without making any mistake and click on Get Status. The status of the said Application ID will be displayed successfully, be it done or in the pending state.